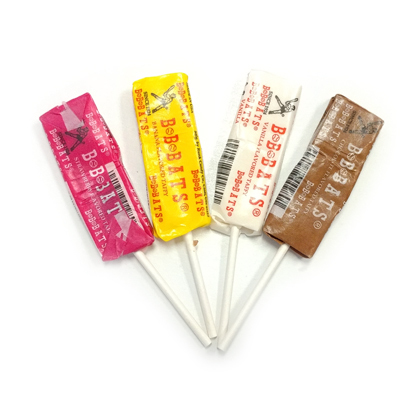 BB Bats old fashioned taffy pops in assorted flavors. 20 ct bag. Made in USA. Individually wrapped. Very hard to find these,and such a great price!Delivered within two days I think! I so remember these and love them. My order came straight away - thank you so much!